The members of the international Viruses, Immune stimulation and RNA Interference in Oncology Network (VIRION) consortium had their first annual consortium meeting in Amsterdam on the 25th and 26th of September. The meeting was attended by ESRs and supervisors from VU University medical centre, TILT Biotherapeutics and ORCA Therapeutics. 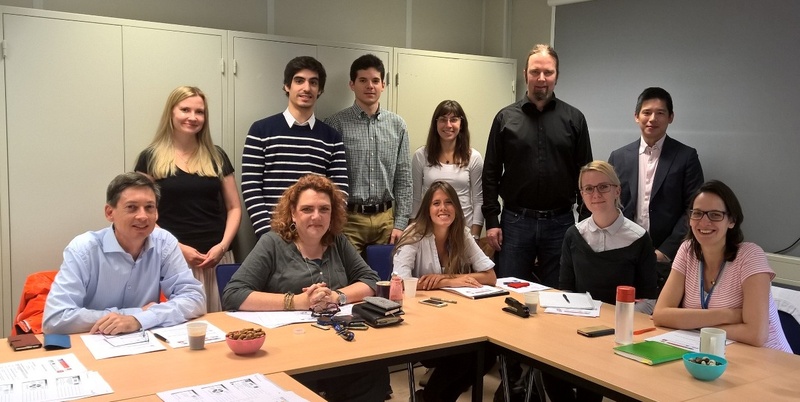 This was the first official meeting with the whole consortium and an opportunity for all five PhD candidates in the consortium to present their research projects, current progress and initial thoughts.The PhD candidates discussed the projects and the research questions with VIRION supervisory board and PI’s and further project collaborations were evaluated. Invited speakers from the VU University medical centre presented their work on the newest developments in immunotherapy, provided feedback on the research projects of the VIRION consortium and potential collaborations were discussed. The VIRION consortium is a collaboration between the VU University medical center (Amsterdam, NL),TILT Biotherapeutics (Helsinki, Finland) and ORCA Therapeutics (Nijmegen, NL). ORCA contributes to the consortium project by investigating if the efficacy of ORCA’s lead product ORCA-010 can be enhanced through combinations with immune stimulatory agents and RNA interference techniques. The VIRION research programme is funded by the European commission in the Horizon 2020 – research and innovation framework programme. Read more about the VIRION research programme.